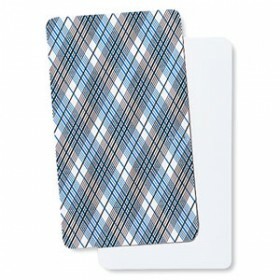 Make your own tarot, playing cards, or original game deck with a set of 80 round-cornered, blank cards with tarotee plaid backs. Also perfect for creating flash cards, educational cards, recipe cards and many other projects. The cards have a water-based playing card varnish that works well with markers, pens, crayons, colored pencils and paint. May be used with laser printers, however use with inkjet printers may require additional drying time and may smudge.